Did you know that Swim Guide was created in Toronto, Ontario, on the shores of Lake Ontario? Swim Guide was born out of the question “is it safe to swim in Lake Ontario?”, and the Swim Guide team continues to develop and manage Swim Guide from our headquarters in downtown Toronto. Swim Guide has grown beyond the Lake Ontario watershed, providing water quality information for nearly 8000 beaches to six countries. However, our homewaters are still Lake Ontario, in the heart of Toronto. The Toronto Community Monitoring Program is a new Swim Drink Fish Canada initiative. The program builds on our water quality monitoring activities from 2016 and 2017, that established of a robust citizen-science monitoring hub, equipped with an in-house lab. Last summer (2017) staff from the Lake Ontario Waterkeeper (LOW) program and 100 volunteers gathered weekly on the waterfront to collect water samples and record observations about water quality in Toronto’s inner harbour. Our monitoring activities in the Toronto Harbour form the basis of the Toronto Community Monitoring Program. The Toronto Community Monitoring Program aims to engage underserved Toronto neighbourhoods in water quality monitoring, data-sharing, and stewardship. The goal of the Program is to engage our community to monitor locations in the city where there is no recreational water quality data, there is vulnerability to contamination, and Torontonians connect with Lake Ontario. Toronto and Region is one of 43 Great Lakes Areas of Concern. As of 2016, 309 distinct combined sewer overflow locations exist in Toronto. These overflows make their way into the environment through one of 84 total outfalls that might potentially contain combined sewage and stormwater. Sewage and polluted stormwater runoff are the leading contributors to water pollution. They put the health of recreational water users at risk of illnesses and infections. During the summer of 2018 and into the fall, the monitoring program will return to sample the popular yet vulnerable recreational water sites in the inner harbour of Toronto that LOW managed in the previous years. These sites are used daily by recreational water users, such as paddlers, sailers, and boaters. During the 2018 summer the Swim Guide staff along with a team of well-trained and dedicated volunteers will monitoring recreational water quality in Lake Ontario twice a week, on Tuesdays and Thursdays. The program is also joining with other local community groups interested in monitoring the recreational water quality where they connect with the water. The external monitoring teams will contribute even more data about the Lake Ontario waterfront. The water samples collected by these teams are analysed in the Swim Drink Fish in-house IDEXX lab, and the results are shared on the Swim Guide website and phone App. The long-term the goal of this program is to create a model monitoring program which can be adopted by any community or neighbourhood for the waters they connect with. The initiative aims to help support communities by setting up citizen-science monitoring hubs equipped with their own in-house labs. These citizen-science hubs would be located in underserved locations where no recreational monitoring exists and where local water-bodies might be contaminated. Citizen-science is a vital contributor to water quality monitoring programs around the world. 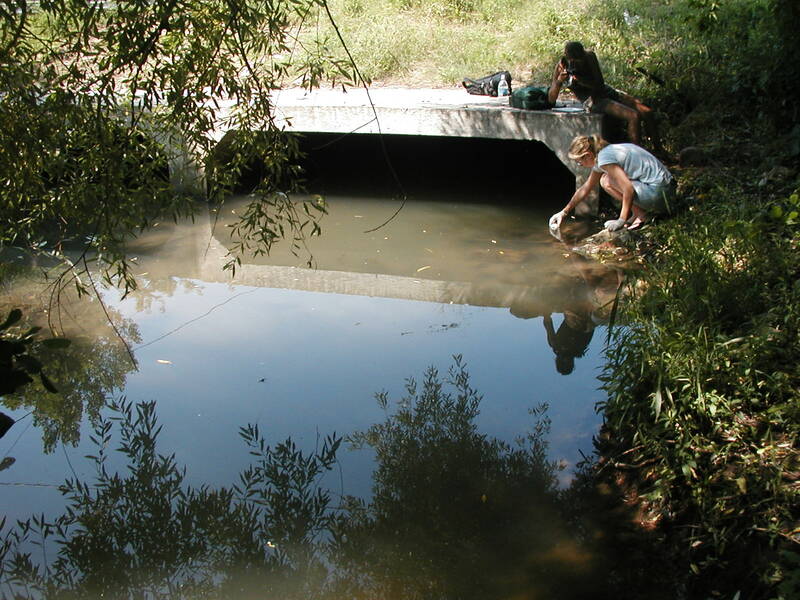 It is common to see water quality monitoring programs run by citizen scientists because of their personal connections to their local water bodies. Helping provide the ability for citizens and communities to monitor the water quality in their own areas helps acknowledge the concerns people have for the waters. It can also be a great motivator for increased conservation and restoration in the area. Right now in both Canada and the US major gaps in recreational water monitoring exists, even where people love to swim and interact with the water. The Toronto Community Monitoring Program wants to become a leading example of how with a combination of citizen-science and community involvement, people across Ontario are better able to protect and conserve their local lakes, rivers, and oceans. With the help of the Muskoka Brewery & Evergreen Fresh Water Grant Program, this initiative will help further the movement for a swimmable, drinkable, and fishable future in the Great Lakes and beyond. The Muskoka Brewery & Evergreen Fresh Water Grant Program helps support Ontario non-profit organizations in safeguarding sources of freshwater. The Fresh Water Grant Program addresses water-related issues in both urban and rural contexts. It provides a platform to increase attention concerning the diversity of issues faced by Ontario fresh water sources. To join the Toronto Community Monitoring Team as we collect water samples from Toronto’s inner Harbour visit the Lake Ontario Waterkeeper website. Become a citizen-scientist and help us find out how healthy our recreational waters are!